20 beautiful, stylish projects to make from cards to gift toppers. 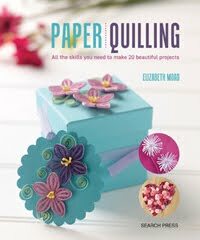 Follow step-by-step techniques to make beautiful quilled cards, gift boxes, tags and wall art for family and friends. Modern motifs, vibrant papers and funky framing can be used to transform this ancient craft into contemporary designs that appeal to all ages. Using minimal equipment and featuring flowers, balloons, hearts, owls and more, create unique and lovely gifts for the special occasions in your life. 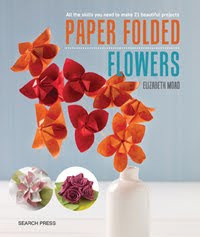 Learn how to apply simple folding techniques such as kirigami and teabag folding to create beautiful blooms for any occasion. There are twenty-one projects in all, ranging from straightforward concertina-fold flowers to elaborate and elegant paper roses. 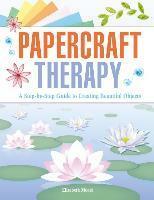 This gently practical title shows users how to find relaxation through the creation of a wide range of paper projects. Taking time out from the daily routine to make things will help to alleviate stress and calm troubled minds. The projects range from easy to the more advanced with clear instructions accompanied by step-by-step photographs to guide readers through the various processes. Techniques are fully explained and a range of papers is provided to ensure that users can get going straightaway. 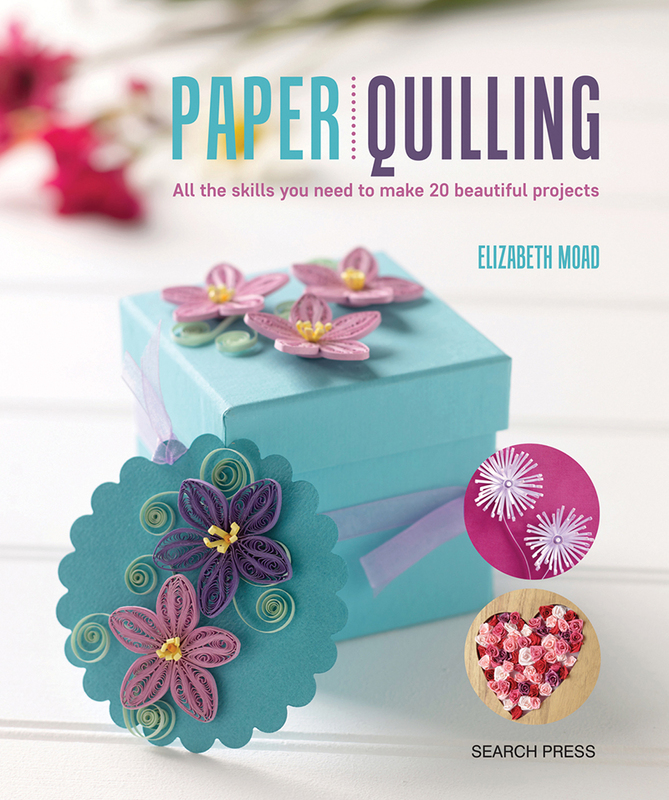 The ideas presented will appeal to those new to paper crafts as well as the more experienced who are looking for fresh inspiration. 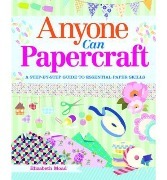 An accessible and practical guide, 'Anyone Can Papercraft' includes a wide range of techniques to introduce the beginner to the craft and inspire the more advanced crafter with fresh ideas and inspiration. 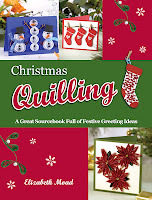 It includes 40 original projects from simple tasks, such as cards and tags, to keepsakes, gifts, and decorations for holidays and occasions. 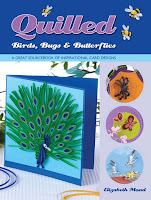 Two quilling books are available "Christmas Quilling" and "Quilled birds, bugs and butterflies" and are available from The Book Depository which offers free worldwide shipping. Elizabeth Moad 2012. Simple theme. Powered by Blogger.